Depression is the most commonly diagnosed mental illness in the world. 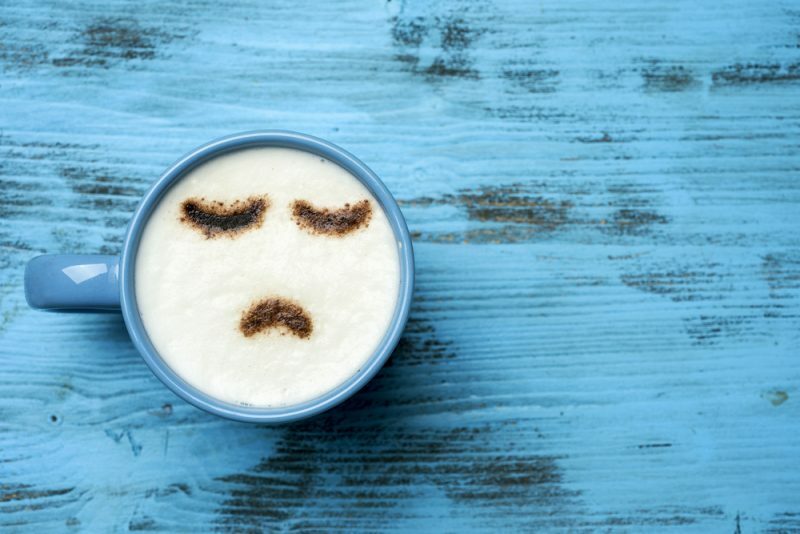 There are several different types of depression, and key distinctions between them is whether they affect mood alone or extend to cause psychotic symptoms, as well. Postpartum depression, which can occur within the first year following childbirth, and seasonal affective disorder, which results from a lack of sunlight, are situational forms of depression typically affecting mood alone. Manic depression, more commonly known as Bipolar disorder, and psychotic depression, or psychosis, are more extreme forms of depression that affect mood and tend to include psychotic symptoms. While both forms of depression should be taken seriously and addressed accordingly, most patients exhibiting psychotic symptoms—especially if such symptoms are recent—should seek immediate help. When typically speaking of depression, the most common type of depression—clinical depression—is referenced. Clinical depression is a chemical and hormonal imbalance that manifests in teens and young adults. Although it can be triggered in adulthood by emotionally or physically traumatic events, it is sometimes it’s an indicator of another mental or personality disorder. Symptoms to look out for include irritability, bad moods, self deriding feelings, loss of interest, loss of focus, loss or increase of appetite, tiredness, sudden mental and physical slowness and/or restlessness, having trouble sleeping, suicidal thoughts, and unexplained, untreatable aches and pains. People who are depressed can be very high functioning, and disguise themselves with the “I’m fine” mask. Excuses such as “work”, or throwing themselves into work are often overlooked symptoms, which is why an attempted or successful suicide can come as a surprise. Why are teens more at risk? Teens are more at risk for depression due to their changing, chaotic brains. The stresses of puberty, school family, and increased anxieties that come with age also increase the chances of having depression. Modern life has greatly increased this risk. Social isolation can literally drive humans insane, and even affect their memory and sensory deprivations even more so. Ironically, social media can lead to social isolation and a degree of sensory deprivation, as Twitter and instagram are very different from talking to people in person. Comparing yourself to others— often done during puberty years—and being judged and bullied do not help to decrease the risk of depression. Cliques, gossip, and not having a date to prom have nothing on that. Teens that come from broken homes, single parents, or are neglected or abused are at even greater risk. Excessive praise and attention, the opposite, is also speculated to contribute to an increased risk of depression. When they leave home, all that goes away. In the real world and on their own, they don’t know how to feel or function. It is also a factor in several other mental and personality disorders. What is not speculated though, is that depression leads to substance abuse. Be it drugs, alcohol, or other addiction such as video games or shopping, something has to fill the void. This can lead to teens falling in with the wrong crowd and only worsening their condition. Everyone needs a coping mechanism, and without proper help, they will most often resort to bad ones than good ones. Depression and its side effects are often treatable, especially if caught early. There are a variety of treatment options including therapy and medicine. Although it can be argued that medicine is unnatural, when coupled with proper therapy, medicine can be quite helpful in helping patients with chemical imbalances that need to be corrected. Depending on the case and the symptoms at hand, there are residential treatment centers for teenage depression. If there’s a substance abuse problem or suicide attempt, specialists at such centers can take the proper action to help your child overcome the negative thoughts, emotions, and symptoms disrupting their daily lives. There are degrees of depression and accordingly degrees of treatment. The more intense the case, the more intensive the treatment. Treatment centers provide accountability, monitoring, and outpatient programs for patients—all of which are essential for kicking addictions. It’s also important to always have a non-judgemental, reliable, and trusted individual that a teenager can talk to without fear, and these professionals are readily available to help out in all ways they can. Depression is common, but it is treatable. With the proper help and care, quality of life can certainly improve. The most important thing is to know that those suffering are not alone and no matter what anyone is going through, things can—and will—get better.